Eastleigh Mela will be celebrating it’s ninth year tomorrow (Sunday 6 July) with an attempt by Hampshire firefighters to break the world record for the world’s largest naan bread. As usual the popular community event will be held on Leigh Road recreation ground with participants and performers from a range of diverse backgrounds such as an Irish Dance group, The Eastleigh Fusion Choir, A Dragon Dance group, a puppet theatre, or a English Pop cover band. There are National performers from the Asian pop scene, like Tasha Tah, San 2, JC Sona and Sonu. Firefighters are confident that they will beat the world naan record whilst raising money for The Fire Fighters Charity, Water Wells Project and Hampshire Hurracanes. 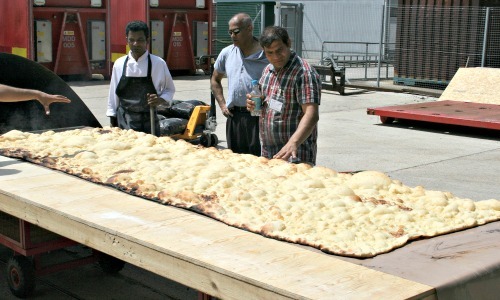 The aim is to cook a naan bread at least 3 metres by 1.2 metres. The current record measured 2.89 metres by 1 metre and weighed 9.5 kg (20lb 15oz). The firefighters will be assisted in their attempt by local naan experts – staff from the Badi Mirchi and Sanjha restaurant. 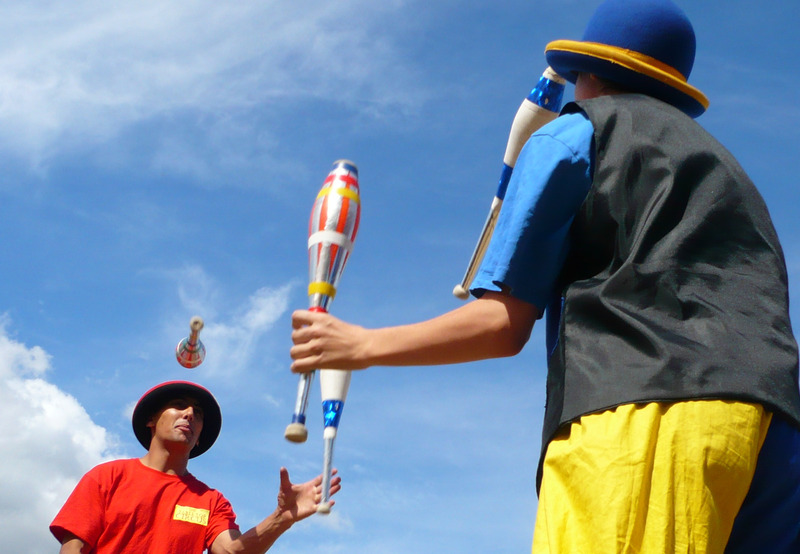 There will also a host of other attractions on the Rec including a climbing wall, dance workshops and competitions, kite making, face painting, falconry display, puppet theatre and sports activities for children. There will be food from Poland, the Caribbean, Indian subcontinent, and from the AWCA stall, special home made Kulfis- Indian ice creams, in Chocolate, Coconut and Vanilla flavours together with stalls selling crafts , jewellery and giving health checks and information. The Mela is organised by volunteers from the Asian Welfare and Cultural Association, (AWCA), and receives support from various groups and organisations, including Eastleigh Borough Council, Hampshire County Council, Hampshire Constabulary and Hampshire Fire and Rescue Service. There is also support from Barclays Bank, Costco, Asda, Yau Brothers, Churches Together, and Eastleigh Gurkha and Nepalese Association (EGNA). “The Mela gives us an opportunity to advance better understanding of each other through the medium of music, traditional dance and sharing of food – including a giant naan”. ← Future plans for Fleming Park? Hedge End Town Council also donated £120 to the Asian Welfare & Cultural Association, as a grant towards staging the Mela. See the minutes of the Community & Culture meeting from February..
To be fair, Community & Culture did significantly reduce the AWCA original request for £500, but their donation still means that Hedge Enders have effectively contributed to this event (which is being staged in Eastleigh Town Centre) three times, i.e. via the HCC, EBC and HETC components of their Council Tax…. Well I’m sure Hedge Enders will be keen to support such an inclusive and diverse community event and hope many will come into town to enjoy the day (but watch out for pickpockets – police have issued a warning). I did wonder if the Chair of AWCA Darshan Mann was the same Darshan Mann who is also a Lib Dem councillor for Eastleigh South because there is no mention of AWCA on the Councillor’s register of interests published on the council website but it seems they are indeed one and the same as Councillor Mann declared an interest at the Eastleigh Local Area Committee meeting in March and took no part in the vote to grant £2000 to the event. In 2011, prior to Cllr Mann becoming a councillor, the award was only £500. I wonder how many other Local Area Committees supported the event? Is this really how outsiders view us? I think the grants that are handed out at Parish level should be exclusively for events and activities that take place in the Parish. If taxpayers money has to go into the Mela, it should be funded exclusively by the Borough. Better still, the AWCA shouldn’t be so cheeky and shouldn’t ask the Parishes for money to fund the Mela…..
Do you know if HETC has also contributed towards Eastleigh’s Mardi Gras or the winterval festivities? Hmmm…there are always a number of food concession stalls at the mela…I wonder if the pitches are rented out and who gets the revenue? If pitches are rented I would assume it would be the council who benefit so some of that money would come back. It makes sense for ELAC to support the mela because it brings a lot of free spending folk into the town – presumably they won’t be spending in Hedge End that day! I haven’t looked into that Stephen, but will keep an eye on it. Besides what I said above, another side of the problem is that because of the way it is funded, the cost of the Mela is not borne equally across the Borough of Eastleigh. Couldn’t agree more with your comments, Ray. It should be down to individuals to choose to support events by attending. Parish/Town Council funding should only be for projects within that town/parish. Thanks for highlighting this, Ray. Hmmm, I would not give much air time to Nadine Forshaw’s little documentary. She is a student at Winchester University studying journalisium, this home video forms part of her show reel. Not very objective, not well researched and quite frankly, very amature in style and presentation. As a journalist myself, I have with the Ed of this site, taken sound bites in Eastleigh, and have found the town to be very diverse on its views and beliefs on immigration. This clip makes no reference as to why there was a by-election, the scandal of the former MP, who was convicted and sent to prison, the anger by local residents towards the standing Lib Dem council over the location of new house building and general apathy towards main-stream politics. No, this is a very cheep attempt to try to brand the town as rascist and uneducated, which Eastleigh is far from and I find it shocking that the general theme of this story was being backed by an academic from Winchester University..!! Nadine’s YouTube video is a very poor, uninformed and lacking in any substance. Don’t shoot the messenger Matt! I don’t agree with the suggestion that ‘Eastleigh hates Europe’ because I know it isn’t true – neither do I think Eastleigh is an ‘utterly forgettable’ ‘nowhere town’. But uncomfortable though it is – I’m afraid that is what a lot of people think of the place. If the video has provoked a reaction and debate then perhaps that’s what it should be doing? Yes Nadine Forshaw is a student journalist and not the finished article yet (so you should cut her a bit of slack) but I have a feeling before too long you’ll be seeing her on your TV reporting for Sky News or similar!